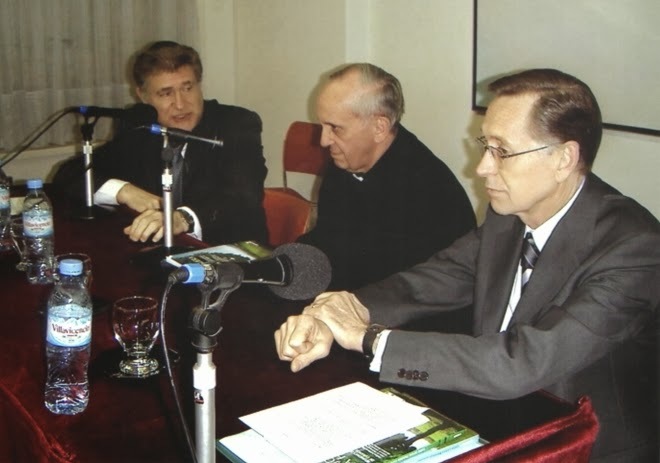 It was awarded to Cardinal Jorge Mario Bergoglio by the Institute for Religious Studies (ISER), in the framework of the celebrations of the 40th anniversary of ISER the service of a “successful interfaith experience” to reflect on the Judeo-Christian tradition in Argentina. Cardinal Jorge Mario Bergoglio, Archbishop of Buenos Aires and Primate of Argentina. Dr. Adalberto Rodriguez Giavarini, Chairman of CARI. Source for the above story is from CARI, Entrega del premio Maimónides del Diálogo Interreligioso.